It will be another awesome Friday night for us! 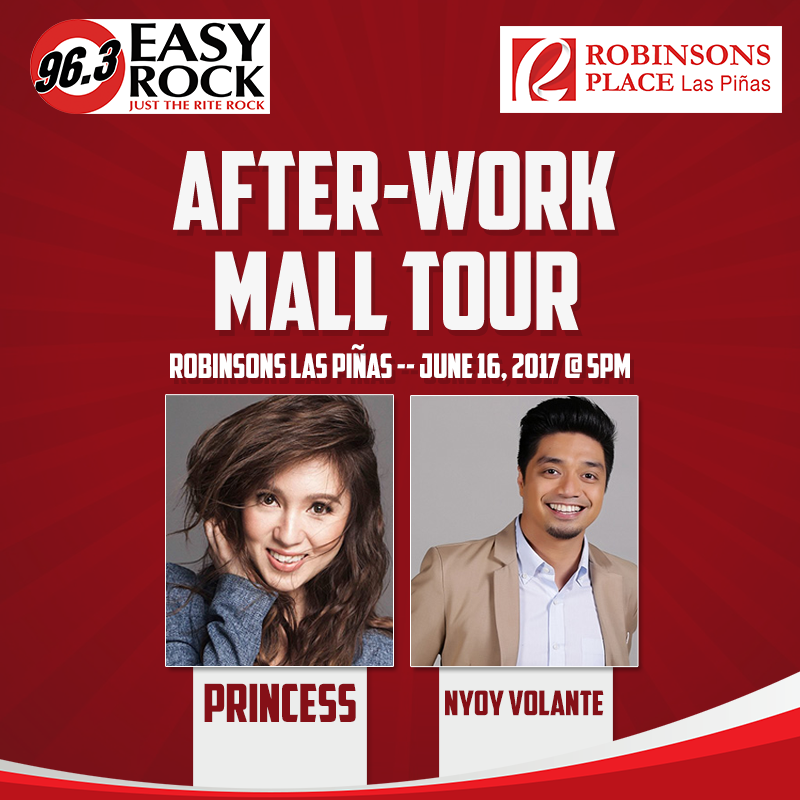 Join Team Easy Rock’s after-work mall tour on June 16! There will be a lot of prizes and fun waiting for you! Plus, Princess Velasco and Nyoy Volante will be there to make our Friday night exciting and music-filled! So, what are you waiting for? Mark your calendars now!